The first decision to make when implementing a wireless infrastructure in a warehouse is to select either a system designer or a hardware provider. The optimal choice is to select a system designer. System designers will go through a process of understanding your requirements, which will be different for each and every facility. A hardware provider, on the other hand, is only interested in one thing – selling their product. Ideally, your system provider will completely understand your implementation. They will be able to design your solution, implement your solution, and also manage your solution after it has been installed. Because of this, when selecting a solution provider, it is helpful to find one who has extensive supply chain expertise in-house. This is more helpful in the design and implementation phases is also invaluable during the go-live process. They should be able to design the wireless infrastructure and take into consideration all the things that go into a warehouse, such as materials handling equipment, which is required in these facilities. Selecting a provider is not an opportunity to cut cost corners. Wireless infrastructure selection and implementation is truly a reflection of the old adage “you get what you pay for.” The cheaper providers may have done a great job and thought through everything, however it is more likely that they are priced at that level because they cut corners. They may have not done a site survey and not been to your locations to understand exactly what needs to go into the facility. Price is important, but the overall design and solution is more important. A detailed plan is extremely important in developing your wireless infrastructure. Most providers will create a LAN Planner in coming up with an overall design plan for your facility. They will identify where all wireless access points are going to be located and take into consideration all of the material handling equipment that’s going to be in the facility and potentially act as a signal block. Early in this process, the best plans involved all parties that are involved in the WMS implementation. Operations and IT should be at the table to lay out the initial design, plan, and put together the timeline for implementation. 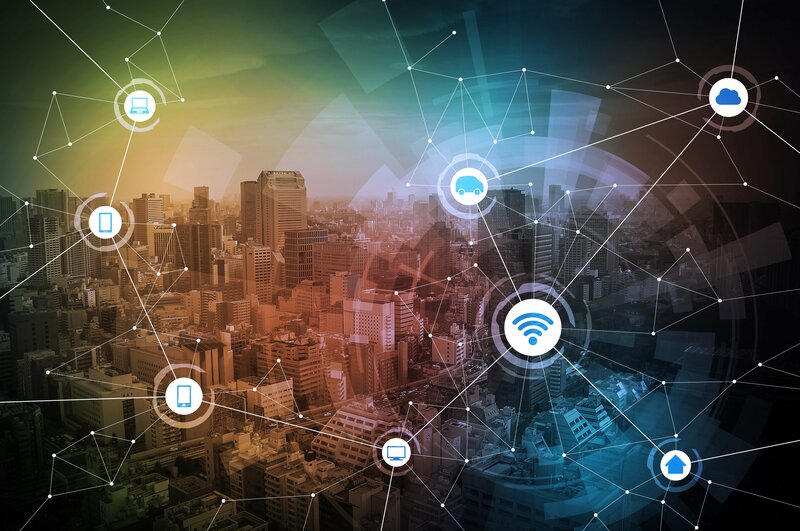 While companies must focus on their existing needs with wireless integration, they would be selling themselves short if their provider was not considering future needs 1-5 years down the line. The master plan must consider where the warehouse is going in terms of bringing on new operations or new materials handling equipment. You must also consider what other things will be going onto the network (e.g., IP cameras or security systems); this is why it is important to have the right people at the table from the very beginning. The timeline for a wireless infrastructure system implementation should be before the materials handling equipment even arrives at the warehouse. Otherwise, there will be delays as different workers attempt to work in the same space. The key to a successful implementation is gauged on how easy it is for a client to go live. The biggest factor in a smooth go-live process is repeated testing, verifying well in advance that the wireless infrastructure is in place and functional. This occurs in three phases: (1) After the system has been installed, wireless access points are in place and functioning. You should do a site survey, verify that signals are strong and things are as they were expected. (2) After materials handling equipment has arrived, conveyors are up and running, and racking is in place. Do the same site survey to make sure that signal strength and coverage is good. (3) Once the customer has moved in. Test again when the facility is 75 percent full. Verify and certify. Most importantly, the provider should be there during the go-live process in case something comes up. That way they are able to resolve it quickly – that is what makes the implementation a success.